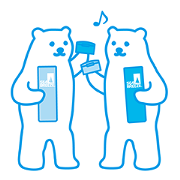 The SEA BREEZE polar bear makes its sticker debut! Leaping from the SEA BREEZE case and into your chats, this cool customer is ready to add a fun touch to your day. Friend SEA BREEZE’s official account to get the set for free.